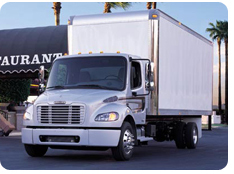 PTS maintains company owned straight trucks that are all equipped with lift gates. Our services include local (Atlanta) and Southeast region. We offer dual-man teams in our trucks and offer extra manpower for necessary situations Pick up and delivery route services are available and customized for each customer’s unique needs and desires. In addition, we offer services for multiple deliveries in various locations that are ready at the same time each day. Air Freight, Fragile Freight, Special Handling, On Demand, Dock to Dock, Lift Gate Palette Jack Services, and more.